When we think of working out and improving our bodies, we often think of various diets and stretches and so on—we rarely think of our genes. Now, a new movement anchored on genomics is looking to bring athletic performance down to the level of DNA. One company wants to go beyond simply relying on the traditional combination of nutrition and exercise to optimize one’s performance. 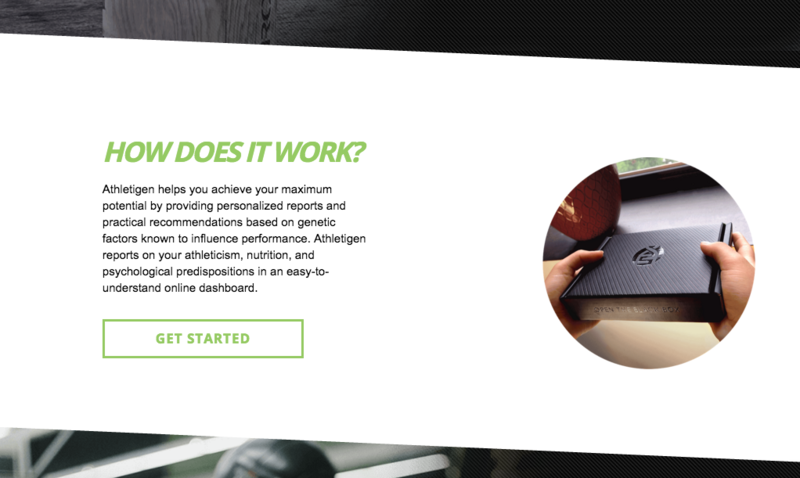 Athletigen is now studying how profiling an athlete—studying muscle tissue, energy, metabolism, and even basic psychology—can potentially create the most ideal food and exercise regimen to boost their performance. The start up, based in Nova Scotia, is working in partnership with Affymetrix, a San Diego based genotyping microarray company, that will help Athletigen sequence nearly 850,000 genetic variants linked to athletic performance. Currently, Athletigen asserts that they are already working with Olympic athletes and coaches who are set to head to the 2016 Olympics, which will be held in Rio De Janiero. Other athletes looking into the technology can send their genetics data into Athletigen and get the data analyzed for free. In addition, what are the ethical implications of gene editing for potential athletes? With the possibility of parents being able to pre-determine the success of their offspring in a particular sport through the technology, how would gene editing affect the future of the professional sports industry or level the playing field between athletes? Regardless of the questions inherent to the technology, the start up has managed to raise $1.55 million in seed funding to grow its platform, with the help of Exponential Partners.